One of my favorite things about Lena Dunham is that she's unabashedly political. 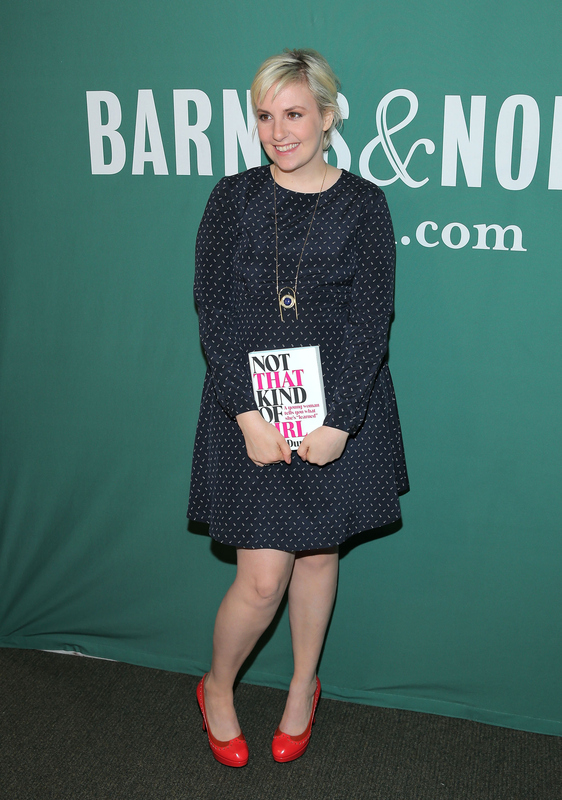 While on her hugely popular book tour for Not That Kind of Girl , (really, it sold out insanely fast for a book tour) Dunham is signal-boosting not only some of her favorite people, but also causes important to her. On Friday, Dunham announced she'll be promoting candidates from EMILY's List, a Democratic organization dedicated to fundraising for female candidates and encouraging women to vote. This news comes after Dunham announced she'd have representatives from Planned Parenthood along for the ride, as well. It makes sense that Dunham would partner with these organizations along with writing programs like 826 Valencia and the Iowa Youth Writing Project. The 28-year-old media guru has never shied away from the political. Remember that 2012 video she made comparing voting for the first time (for Obama, duh) to losing one’s virginity? I’d like to say it’s because she doesn't care about the rest of the world, but that would be inaccurate — she does care about how she’s perceived. She’s given to writing impulsive and incendiary tweets that she later qualifies. And, typical to her upbringing as a SoHo kid of two artists, and liberal arts school alumna, she’s willing to engage in touchy issues about representation of race and class in her show. The Girls creator's alter ego, Hannah Horvath, is largely apolitical because she's too self-involved to learn much about current events. She briefly dates a Republican in Season 2, though, and breaks up with him, citing their political differences as too great (though she actually wasn't into him anymore because he didn't like her essays). This political forwardness is unusual if you stop to think about it. In previous generations the political intersected more often, or more easily, with art, but recently, it's rarer to see authors engaging as explicitly. Perhaps this is out of fear of alienating fans and wanting to appear neutral — palatable — to everyone. Or it could be due to a more general malaise; the news is bleak and overwhelming. It's more comfortable not to engage. That's why Lena Dunham's position in the media is so valuable. She has 1.77 million followers on Twitter, and when she speaks people listen. (Sometimes to argue with her, as she's a perennially controversial figure.) Her political beliefs are apparent in the work she does, even when she's not stating them explicitly. She never doubts there is room for her in the art world and the media, and now with these partnerships on her book tour, she's making another statement: There's room for politics in it all.